Sensum is Asia’s first and leading addiction treatment provider specialized in offering 24/7 in-home and on location addiction treatment. A unique, client-centered treatment approach offers a more private, personalized and flexible solution outside of the traditional inpatient rehab environment. Addiction treatment services provided for include both primary and aftercare and can be initiated at any stage of someone’s recovery process. By bringing recovery home, Sensum can help people overcome addiction and achieve lasting recovery where it matters most. The Sensum treatment method is comprised of an evidence based and holistic program. 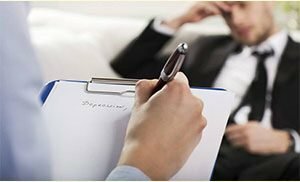 The principal treatment combines Acceptance and Commitment Therapy (ACT), Cognitive Behavioral Therapy (CBT), and Integrative Medicine. Additional local resources and specialists are incorporated into each individualized program as needed to ensure the most all-round, bespoke treatment plan possible. The one-to-one on location element of each program is designed to help build a recovery platform amidst the reality of day-to-day life, exceeding some of the limitations of an inpatient treatment facility. An introduction to the 12 Step program is based on the therapeutic responsiveness of each individual. Sensum also offer family therapy so those important to the addiction recovery of each individual can be engaged in the process when it is considered conducive to the successful treatment of a client. When On Location: Housing provided where the treatment services are to be rendered. All resources within and on-site area can be explored and utilized when considered beneficial according to the therapeutic needs of each individual. Weekly follow-up sessions, Personal Relapse Prevention Plan. A trained and qualified addiction therapist is available 24/7. Additional staffing requirements are measured on a case-by-case basis. Each treatment plan is tailored to the individual’s personal and professional obligations. Additional services requested for can be incorporated as needed when supporting the healing process. You must be willing to abide by the treatment program rules and regulations. You must be willing to follow the individualized treatment plan.